The Philippines Azkals, the lowest-ranked team in their bracket, begin their first ever campaign on Monday in 2019 Asian Football Confederation Asian Cup. It will be a challenging showdown when they clash with South Korea at 3 p.m. (7:30 p.m. Manila time) at the Al-Maktoum Stadium in Dubai. The Azkals, ranked at 116th in the world and 21st in Asia, will be up against the region’s fourth-ranked squad, which last made it to the finals in 2015. Known as the Taeguk Warriors, the Koreans will play without captain Son Heung-min, who will sit out the first two games due to his commitments with his mother club, the Tottenham Hotspur. Son was the Best Footballer in Asia 2018, the fourth time he won the award. But the South Koreans are still dangerous in the knockout stage, with Gamba Osaka striker Hwang Ui-jo and Ki Sung-yueng, a Newcastle United midfield, expected to create trouble for the Philippine side. The South Koreans will bring with them the experience that they have earned from a total of 13 Asian Cup appearances. 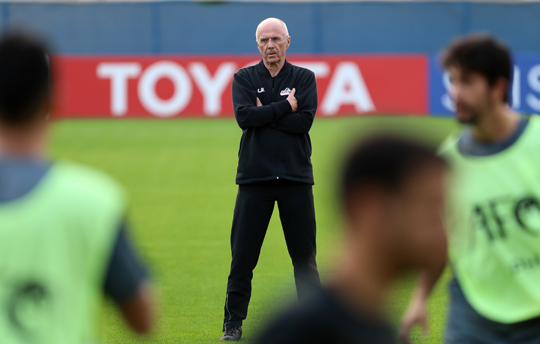 The Azkals are playing in their first-ever Asian Cup stint under new coach Sven Goran-Eriksson. Eriksson understands the toughness of the field, considering that powerhouse China is also in Group C with them, along with Kyrgyzstan. And surviving their bracket is something that Eriksson is looking forward to. “We have to have that target if we go to the tournament. We can’t just go and be happy that we are there. Yes, we’re happy but that’s not enough. We have to try to go through,” said Eriksson. Help is on the way as two players have joined the team, midfielder Patrick Strauss and left back Daisuke Sato. Strauss is on his second stint with the Azkals and plays in the second division in Germany. He last saw action in the AFF Suzuki Cup but missed the semis due to his stint with his club, Erzgebirge Aue. Sato came in from Romania and was not around in a friendly match against Vietnam. The Azkals come into match following a 2-4 setback to Vietnam. For Eriksson, the Azkals needs to hang on in their games with the toughest teams in Asia. “The Philippines have to go in with one target: to go through, to go further. That’s not easy but if you can do that, that’s good. Then everything depends on what’s happening,” he said. Majority of the team was part of the Suzuki Cup squad. Kevin Hansen, who plays goalkeeper for Danish side AC Horsens, is the newest addition to the team. Goalkeeper Neil Etheridge will miss the tournament and Michael Falkesgaard is taking his place. Midfielder Miguel Tanton is back to the squad having suited up for the Philippines in the 3-2 win over DPR Korea last March 2016, along with Javier Patiño, who missed the recent Suzuki Cup with an injury. Phil Younghusband is one of the Azkal’s most experienced players in the tournament. He has 105 international appearances, scoring a total of 52 goals. Younghusband is considered as the eighth most-capped player in action, aside from India captain Sunil Chhetri (103), China legend Zheng Zhi (102) and Iran veteran Ehsan Hajsafi (101). Last March, the Azkals made history by beating Tajikistan, 2-1, in the qualifiers to book the country’s first-ever slot in the quadrennial meet. The Azkals finished Group F with three wins and three draws.